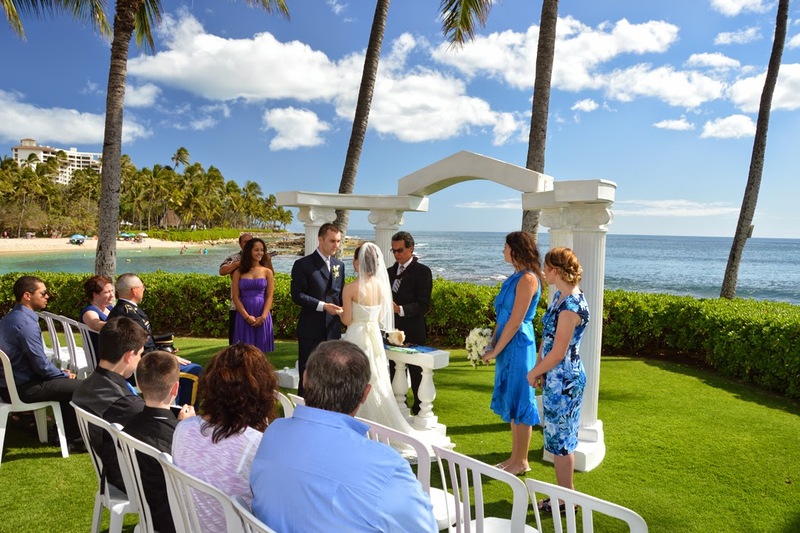 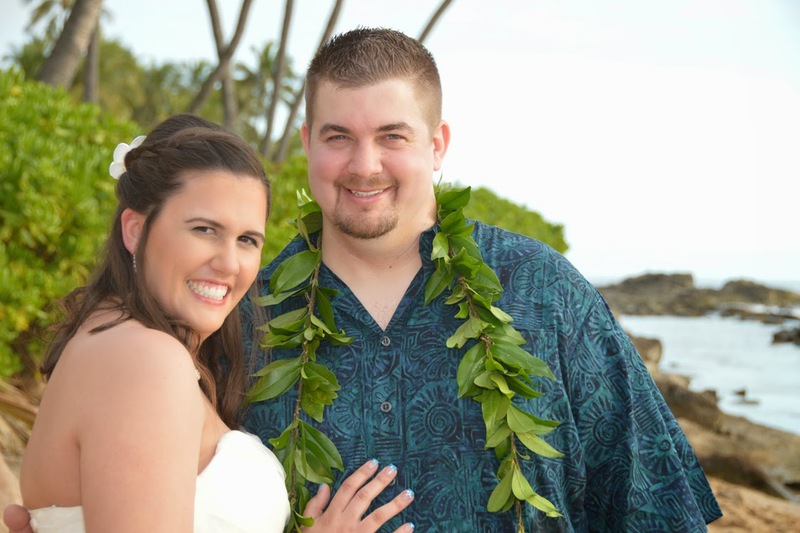 Justin & Katie have a beach wedding at Paradise Cove Beach while Ko Olina Beach is inaccessible. 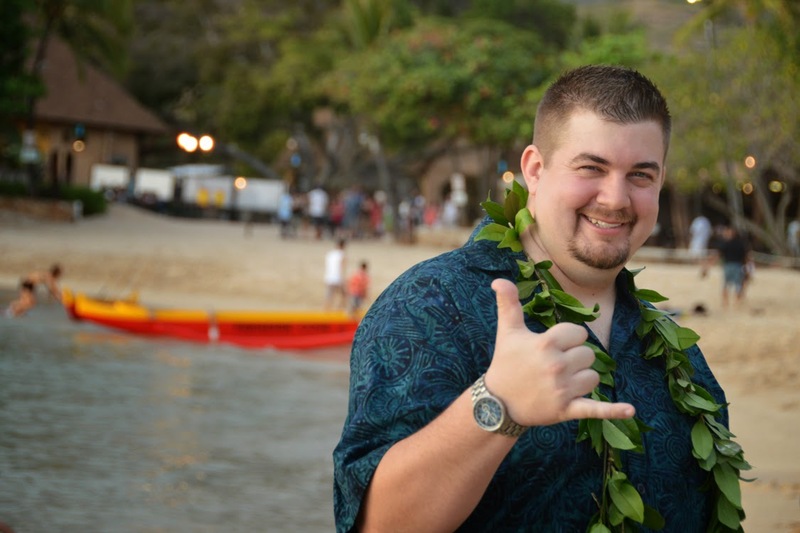 Seems to work just fine, and right by the Luau too. 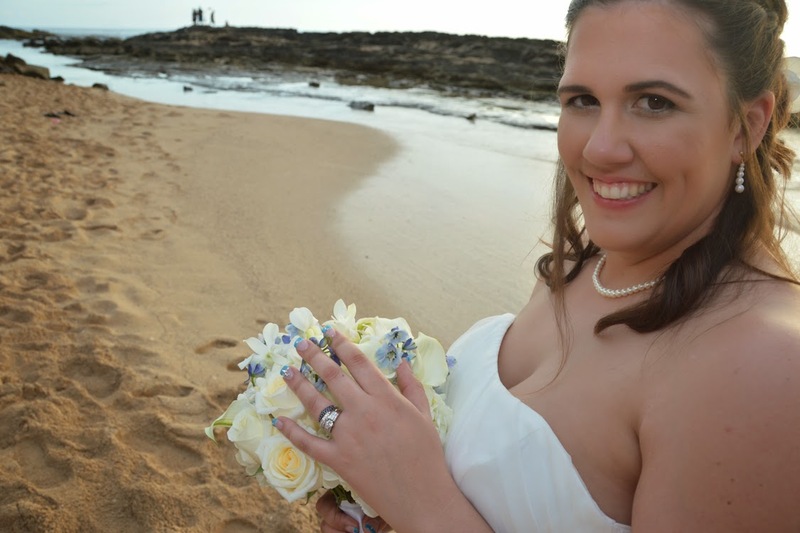 Katie has a great smile! 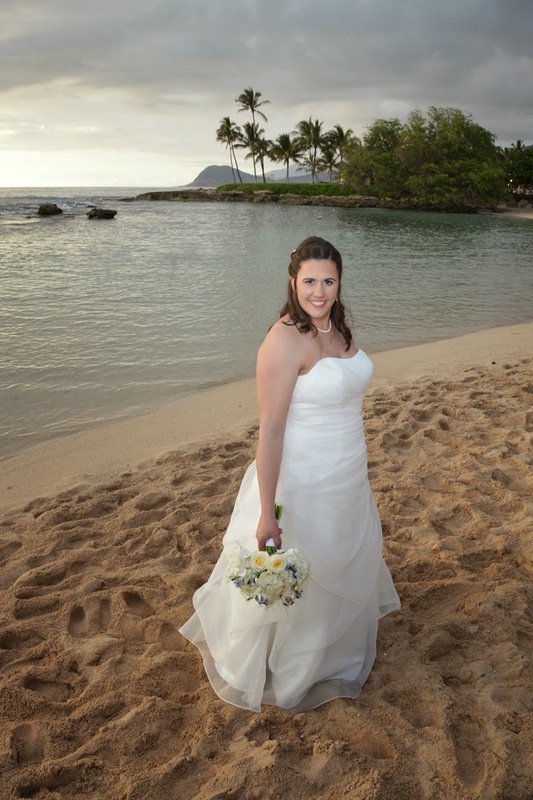 Photogenic Bride. 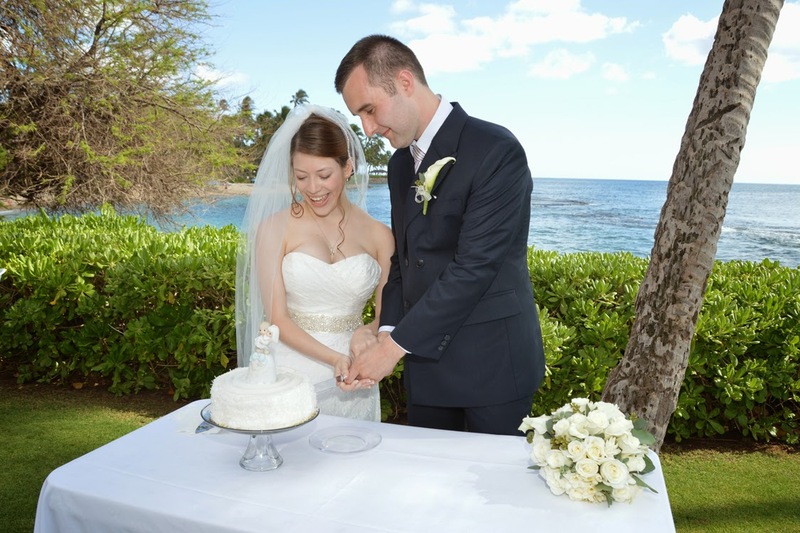 James & Heidi live it up and party at their wedding with cake, music and dancing. 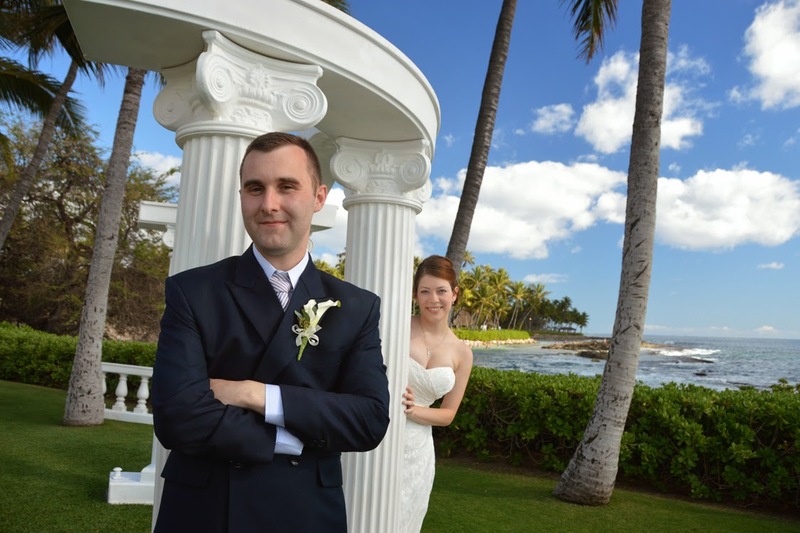 The Roman-Greek style white columns look great against the blue sky backdrop. 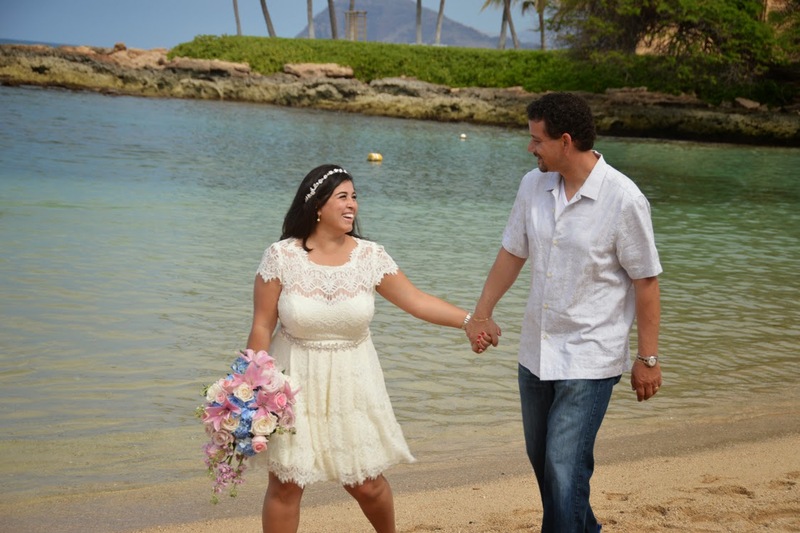 James & Heidi seal the deal at Paradise Cove. 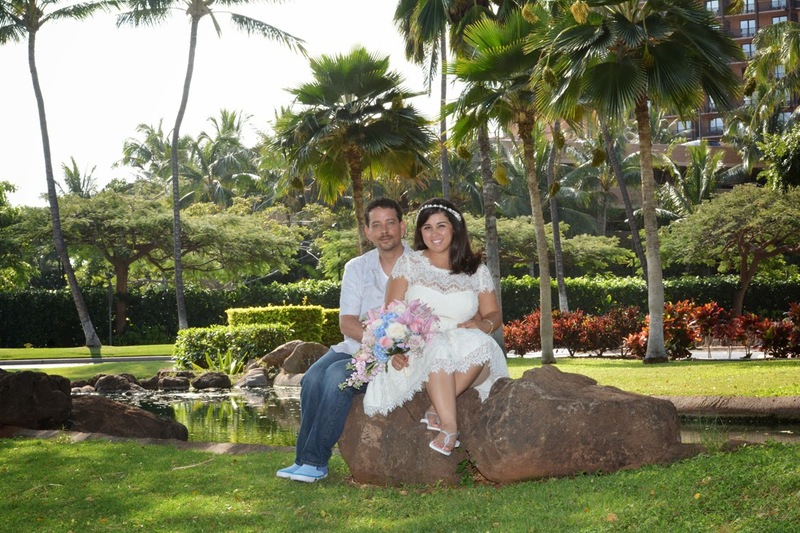 Ross and Tania stop by the Ko Olina Resort for a few photos and then off to Paradise Cove Beach. 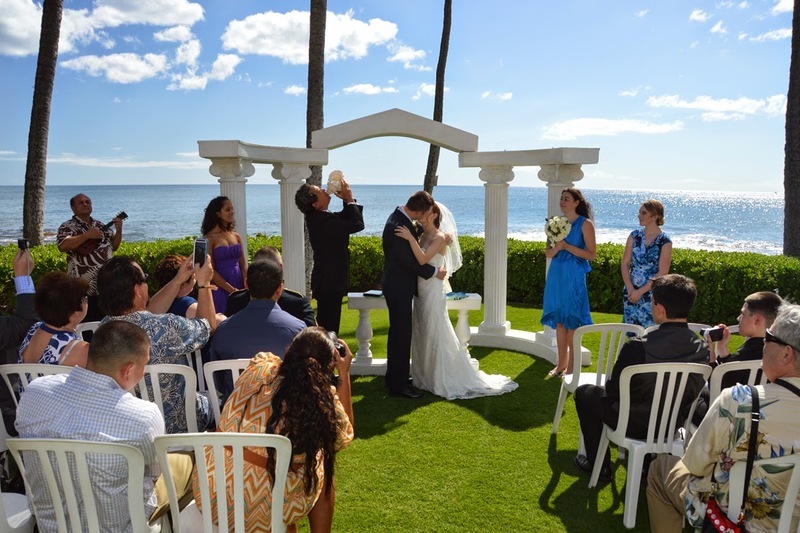 Brent and Tracy get married at Paradise Cove Beach in Ko Olina on a fine Saturday morning. 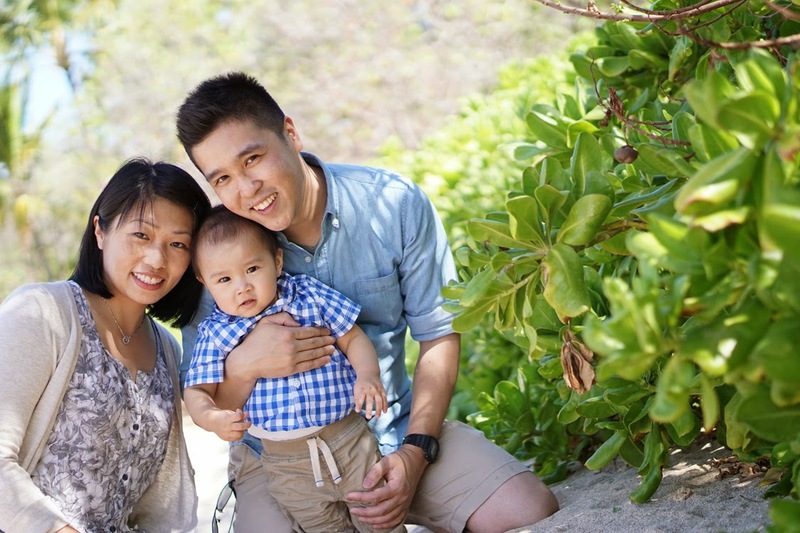 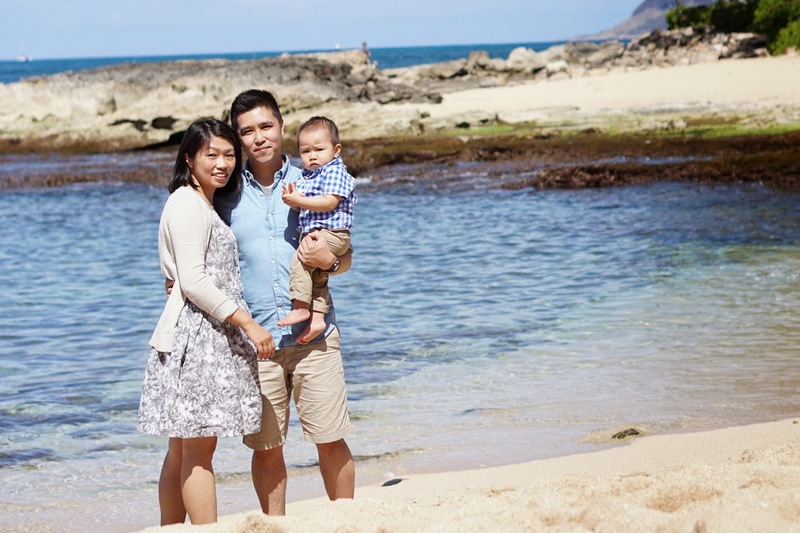 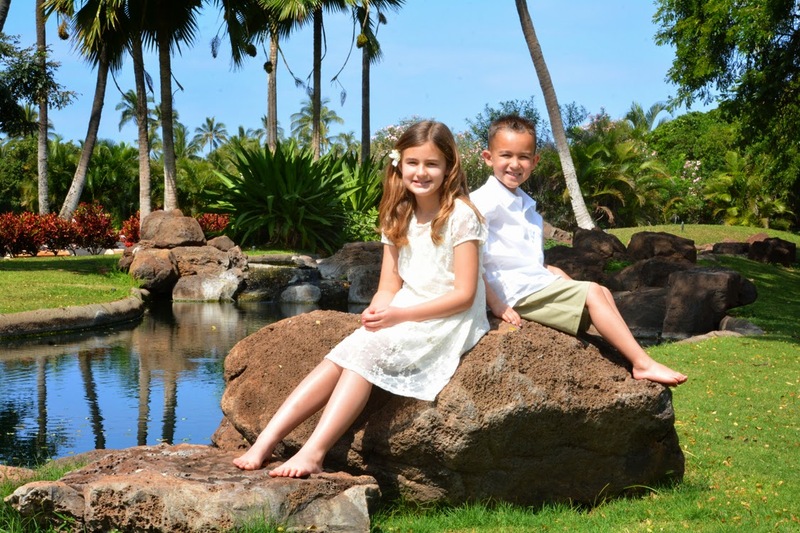 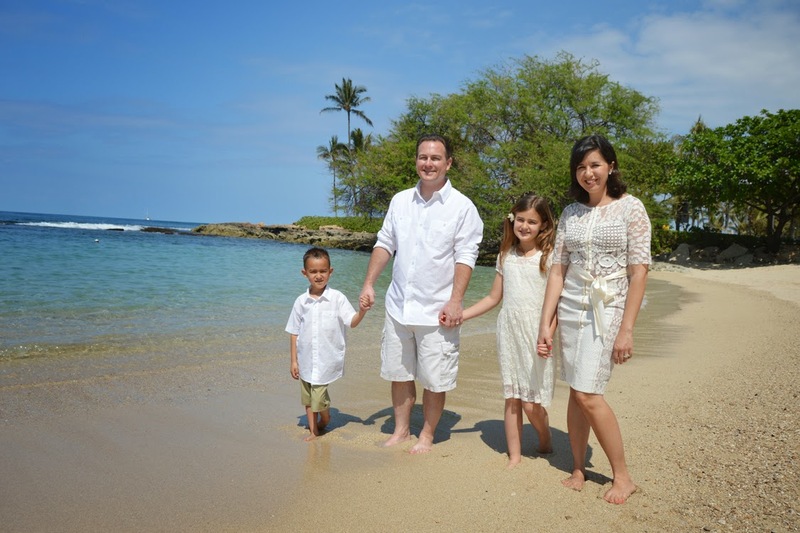 Ko Olina is a great place for family photos. 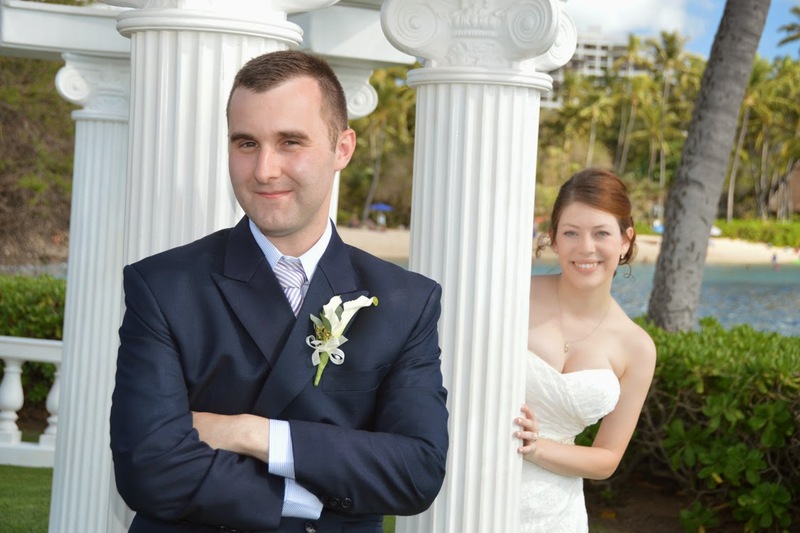 Just ask Walter & Liana.